We know that we’re your orthodontic practice, but we wanted to take a break from the serious stuff this week and explore the origins of the tooth fairy. As the tooth mouse tradition grew, children began putting their teeth into their shoes. While they slept, the mouse exchanged the tooth for a coin or two. 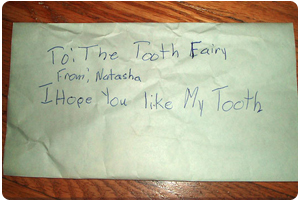 Many cultures still hold to the tooth mouse tradition, but in many cultures the tradition morphed from a mouse to the magical tooth fairy!